Thinking about content strategy or blog monetization can be imperative to the success of your website. But you also need to think about keeping your websites secure and stable. Running anything from a hand-coded platform to an open source CMS will require security. No website is completely protected from harmful intruders. 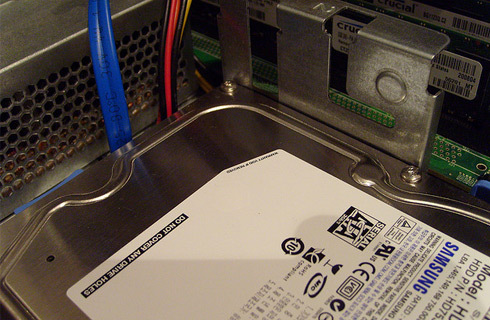 Data backups are one of the easiest ways you might combat spam or hacking attempts. If somebody compromises your website with some type of bug or malware, it might not be easy to remove. Your hosting support staff does have tools for the job but it’s not always perfect. Thus you might consider methods for organizing your data into local and remote backups for quick re-installation. Having a local backup handy is always a good idea. This lets you install copies on your own machine for testing, or just to re-install years later after you have stopped keeping online backups. However I can definitely support the idea of keeping your website’s data hosted in the cloud. There are tools for Mac backups along with Linux/Unix systems that can push out website content into the cloud. WordPress even has free plugins that will perform this task quickly and efficiently. You can schedule out cron jobs that run automatically when the system hits a certain time. Smaller free services like Dropbox or Google Drive may be able to keep some of your backups secure. But if your website grows quickly, then imagine keeping multiple backups with > 1GB in size. You would certainly run out of space within a year if you didn’t clear the old backups. Many cloud hosting platforms will keep your website backups stored by date, along with your own personal file backups organized into separate folders. Growing a tremendous backup of data will surely result in complexity. How can you tell when you have saved enough data? When it is safe to delete old backups from a year or two years ago? Try to understand your own wants and needs as an individual, or within a company. Put together a backup regimen that works and provides stable security for your workload. This is like a one-shot deal that keeps all your relative files in a secure cloud server farm. Password-protected features limit anyone from downloading or FTPing your files to another computer. But if you can access your account from a laptop or even some tablet PCs, you might be able to transition files seamlessly from the cloud server. Technology in this sector is still growing and the number of cloud host solutions is also growing quickly. Be sure to search through Google and read up on features when trying out a new platform. This entry was posted in Technology and tagged cloud, data storage, internet on November 25, 2013 by Guest Blogger.